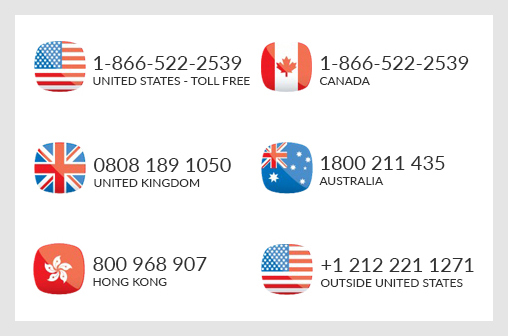 Whether you are browsing through diamond engagement rings before you pop the question or you are looking for the perfect ring along with your partner, here are some important tips that will help you make the right choice. 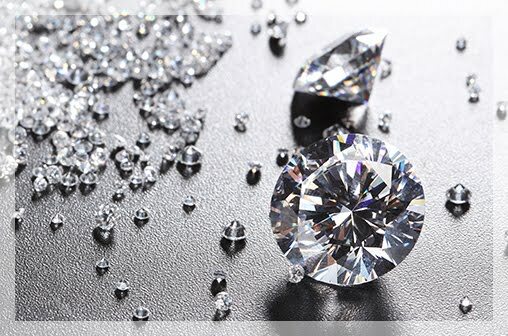 The 4 Cs, cut, clarity, color and carat weight, are important to know as they help you understand all the characteristics and the value of your precious diamond. A lot of knowledge, in form of articles, videos and buying guides, is available about the 4 Cs so it is simple to gain some expertise in this area. Besides the cut, clarity, color and carat, another important tip is to choose attractive engagement ring settings while choosing diamond engagement rings. While browsing through diamond engagement rings, it’s essential to understand that engagement ring settings enhance the look of the diamond as well as the overall look of your ring. 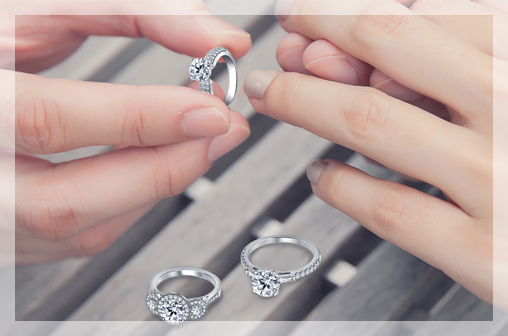 There are many types of engagement ring settings available, from traditional to modern, to help you choose the perfect one. Halo setting is one of the most beautiful engagement ring settings. In this setting, a center diamond is surrounded by pavé diamonds. These flashing diamonds reflect light and help to focus the attention on the center diamond. 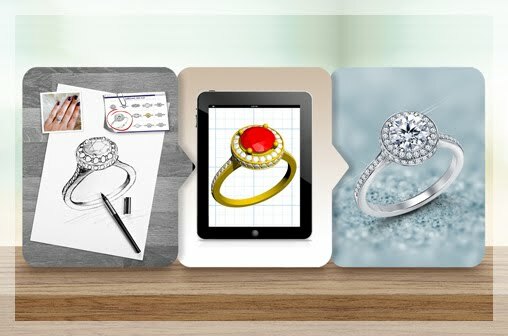 Halo engagement ring settings help to design beautiful diamond engagement rings as they can be easily customized. You could opt for a pear-shaped center diamond or a classic round one and pair it with an eternity band. Another important tip while choosing an engagement ring is to customize it. You can combine two kinds of engagement ring settings to make a ring that is unique. Combine the traditional solitaire ring with the channel setting. Highlight a beautiful diamond by flanking it on both sides with a row of smaller diamonds. You can choose a four-prong or six-prong setting for the center diamond. Engagement ring settings are all about finding your style so a good tip is to match your personal style to the ring style. If your style is traditional and understated, the popular four-prong or six-prong setting with a beautiful solitaire is a good choice for you. In this type of engagement ring settings, the diamond is held in place with four or six metal prongs. It helps to highlight a beautiful diamond as the stone is raised from the surface of the ring. Once you understand engagement ring settings you can become an expert in creating your own ring. Consider using a fancy color diamond with a four-prong or six-prong setting. Diamonds in beautiful hues like yellow and pink can be a gorgeous choice for engagement rings. 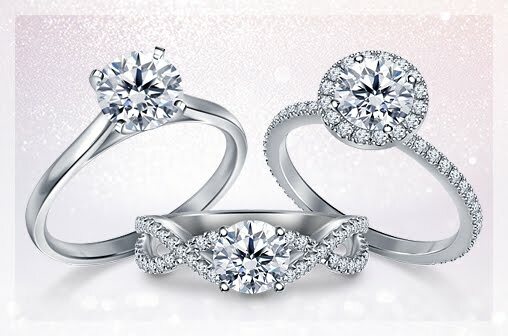 The four-prong or six-prong engagement ring settings showcase the color and make for gorgeous diamond engagement rings. Bezel setting, pave setting and channel setting are some of the other types of settings available. Choose a setting that showcases the diamonds and fits your style. Customized diamond engagement rings are very easy to order online. 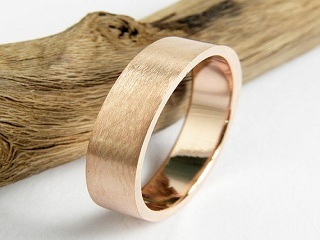 Online retailers make it very easy to create one-of-a-kind rings. 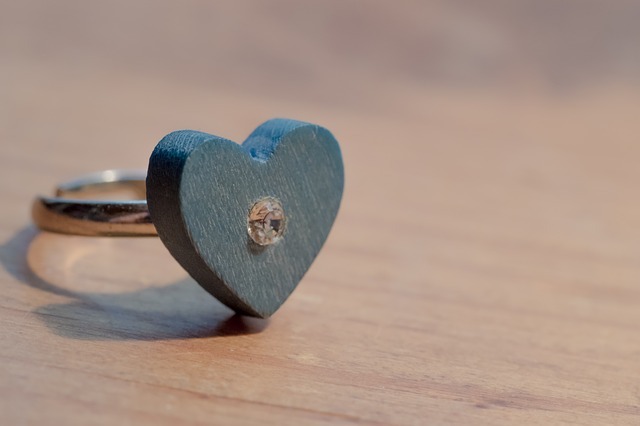 Be sure to choose a reliable, recommended retailer to make your ring. Choose a ring that truly represents your relationship and signifies your personal style with these expert tips on engagement ring settings.